With its 30 recently renovated rooms, The Hotel de France is a charming and tastfully decorated hotel providing peace and quiet. Ideally situated, near the town centre, and close to the train station. Take a leisurely stroll to the harbour and discover the historical town of Vannes and its ramparts. 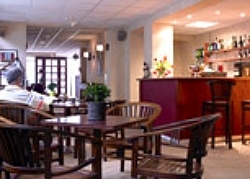 The hotel is close to the to the station - 200 meters - and the center or the port - les than ten minutes walking. The hotel has got a a conference facility with video equipement for up to 30 people. 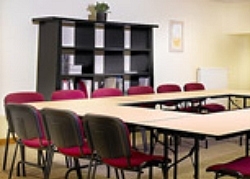 If you wish to entertain clients or organise a business meeting, a fully equipped room is available.